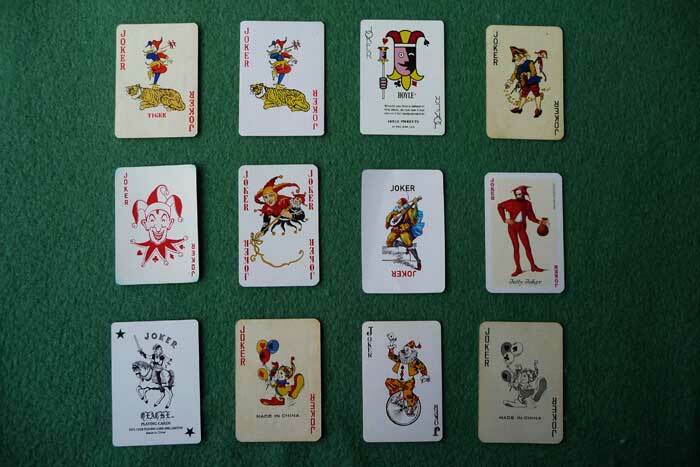 The word "joker" is used more in English, translating it as "joker", "funny man" or "joker"("Romanian-English Dictionary" by Leon and Andrew Levitchi Bantaş, Scientific and Encyclopedic Publishing House, Bucharest , 1984). 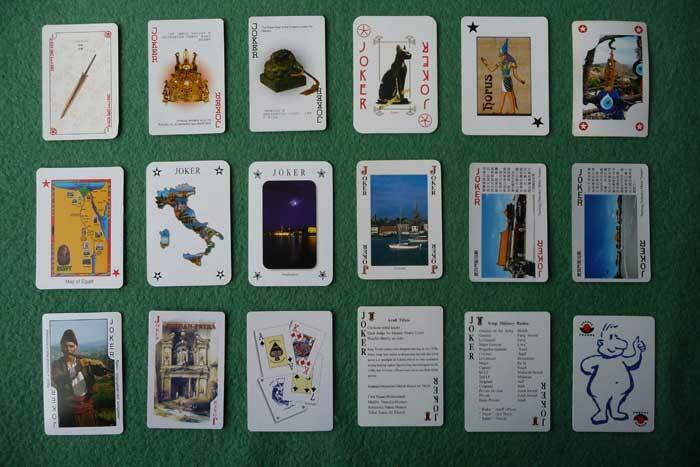 Worldwide Joker is a special card of great value in games in which it is included. 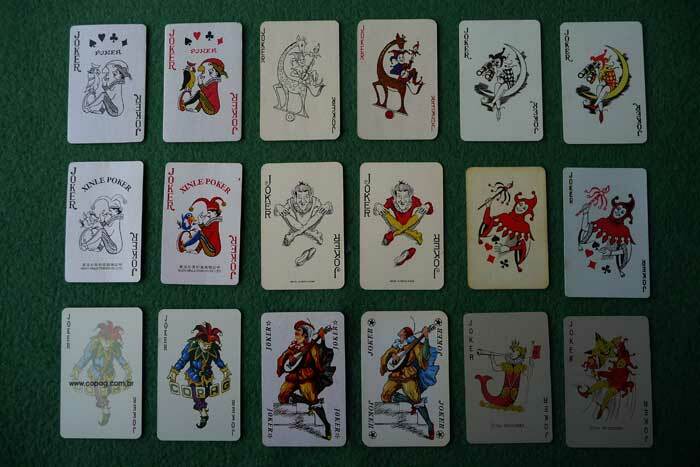 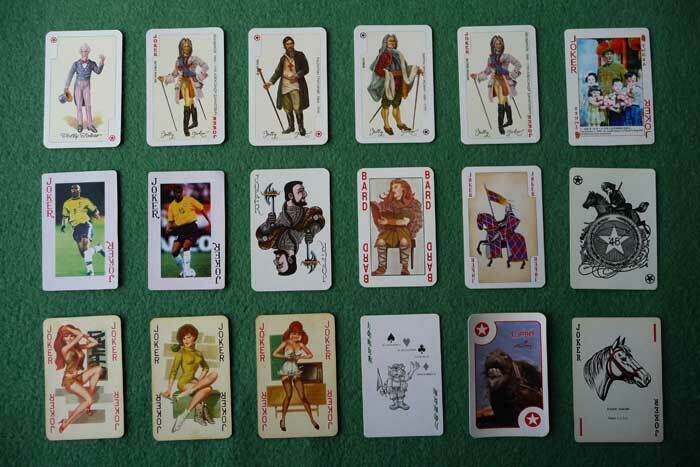 But not all card games use the joker, so it always remains unused: Here's a "serious" reason to collect more of them. 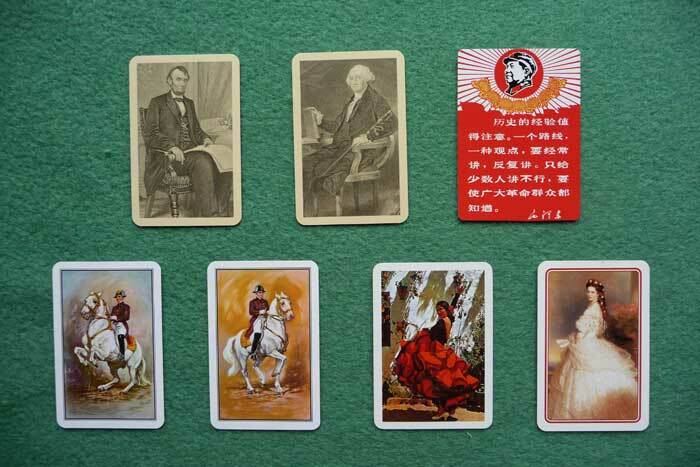 Thus, out of some isolated and sometimes unnecessary cards may result a slightly bizarre collection. 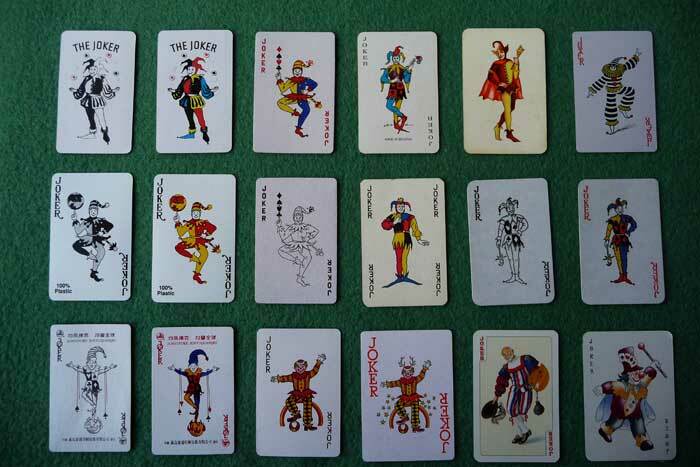 In most cases the joker is the card game that features a comic, a clown, a harlequin, a sympathetic and appealing image, so you are tempted to keep it. 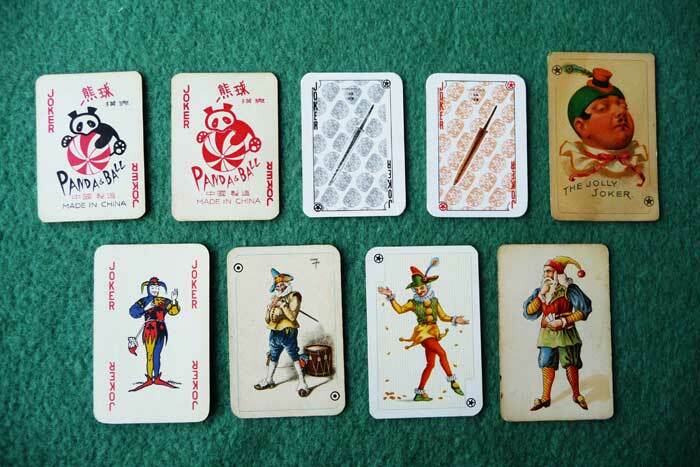 In the last decades different jokers have hit the market. 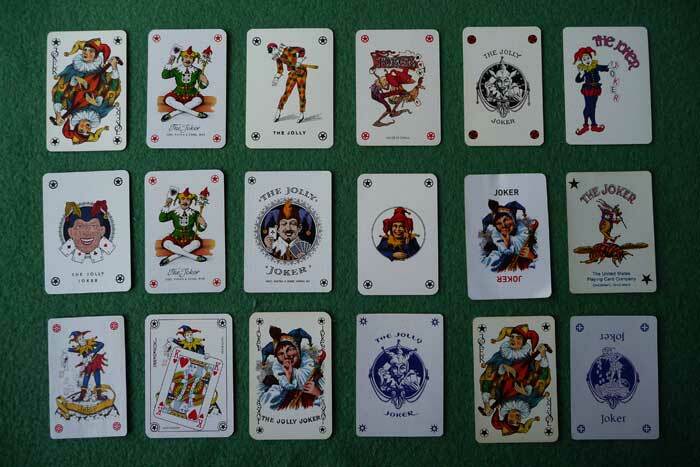 I gathered 295 joker cards with 124 different features in a box and then in a wooden box. 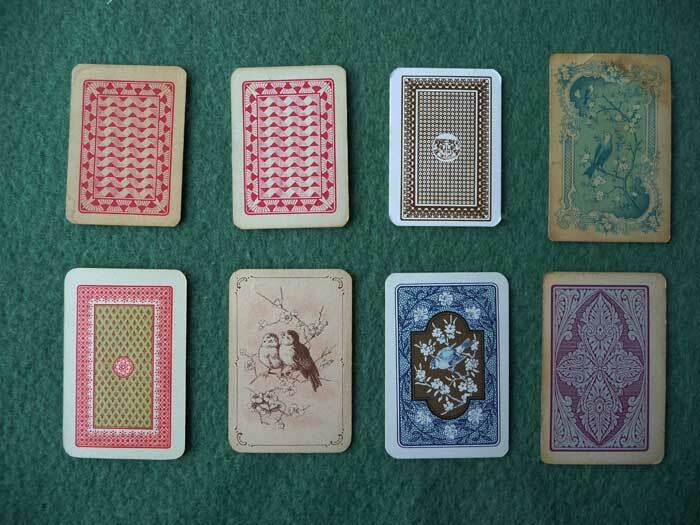 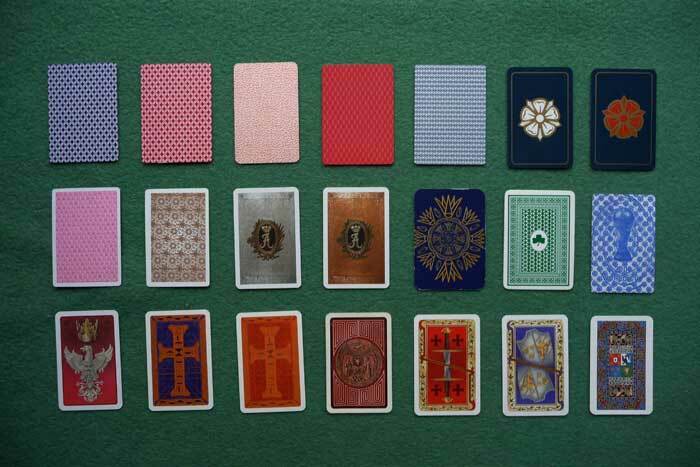 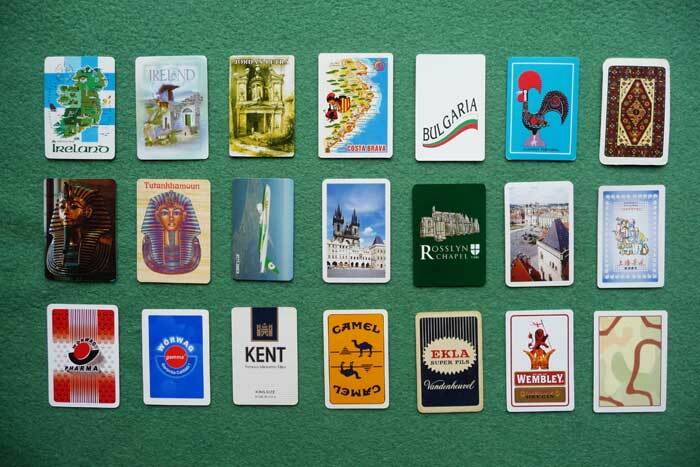 There was the temptation to also compare the back of the cards and I counted 93 different designs. 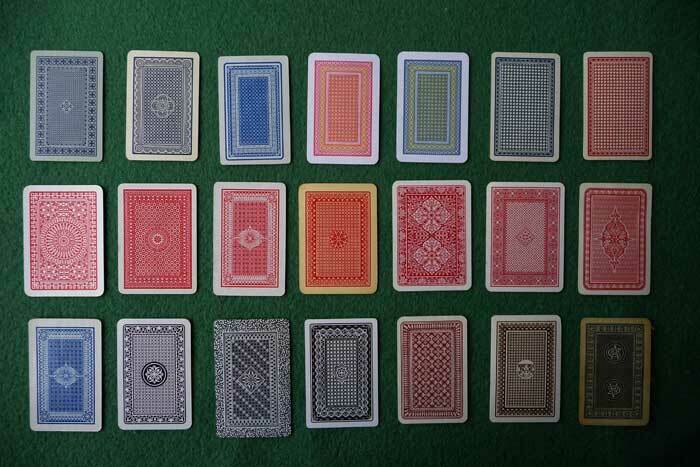 There are also small cards, I do not know why (?). 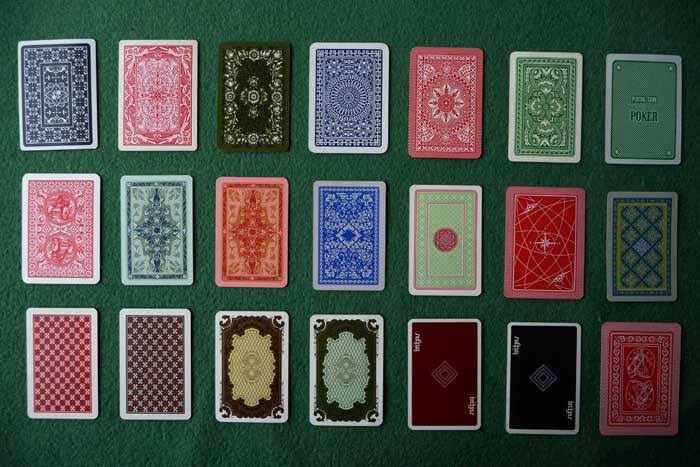 I gathered eight different types. 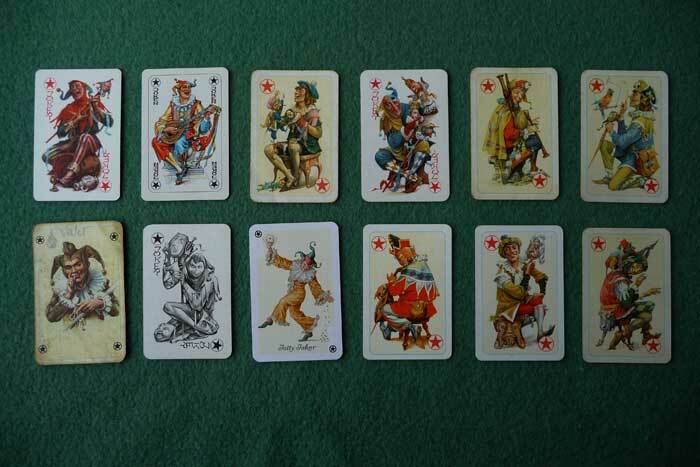 (This inventory is made on 10 April 2011).